The most common cause of upper back pain is muscular irritation or other soft tissue (e.g. ligament) problems. These common injuries can arise from lack of strength, poor posture, overuse injuries (such as repetitive motion), or a trauma (such as a car accident or sports injury). Muscular strain in the upper back is usually treated by one or a combination of the following: exercise, physical therapy, chiropractic manipulation, massage therapy, acupuncture and hot and cold therapy. 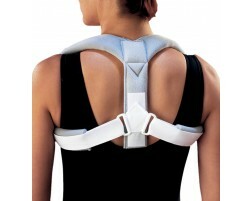 Wear a posture or clavicle support brace to help strengthen you back and improve posture for your upper back pain. 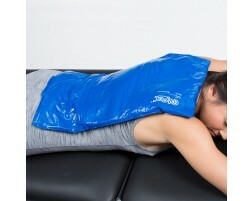 Need help choosing a support for your upper back pain? Use our Brace Advisor, a guided tool for recommendations based on your level of activity and whether you have an existing back problem or are looking to prevent posture issues.